We know your time is valuable. That is why we make every possible effort to make your regular visits as efficient and brief as possible so you can get back to your day. Depending on your situation and how you have been injured, the first couple of visits, will take longer. 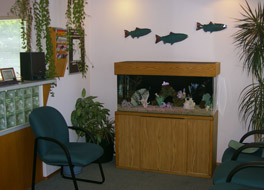 We usually ask new patients to plan on being at our office at least an hour. This will vary, depending on the severity of your injury, if x-rays are needed, the level of examination that is needed and other varying factors. We ask new patients to arrive 15 minutes early so they can fill out new patient paperwork to start their file in our office. Also be prepared with your insurance card, any accident reports, and other insurance information if necessary. 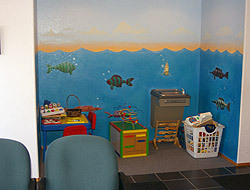 We have a special area for our youngest patients. You will be escorted to our examination/x-ray room. The doctor will then join you and talk with you about your health history, the problem that brought you here and other pertinent information regarding your health. This will help him render the most effective care possible to help you heal and recover in the most efficient time possible. You will receive care for your symptoms usually the same day if clinically indicated. To the Subsequent Visits click here then call today to schedule your appointment.